But truthfully, they are so easy to put together, the longest part is the frying and even that is pretty quick. 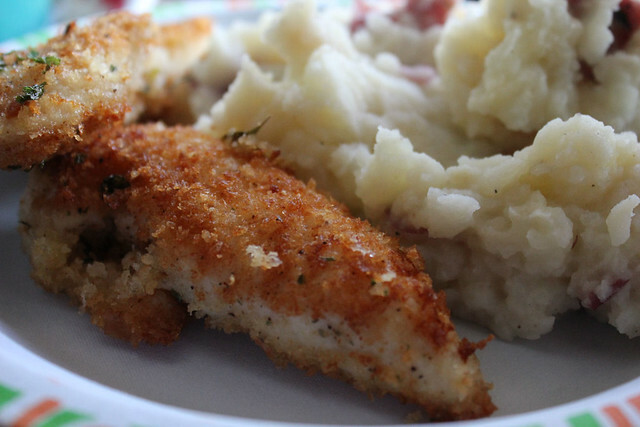 Next time you have some chicken tenders, try making them this way, it's one of our favorites around here. 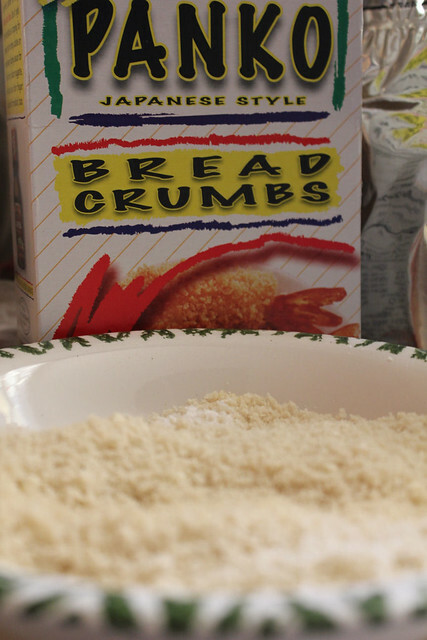 Oh and if you've never tried Panko Bread Crumbs, you have no idea what you're missing. 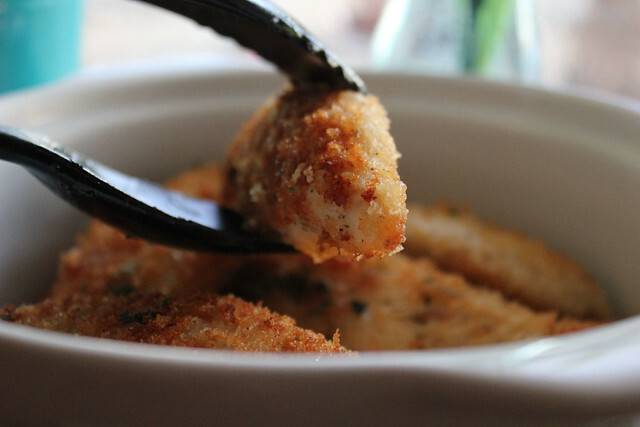 In a shallow bowl, mix about a cup of the panko, some garlic powder, salt and pepper, parsley and Parmesan Cheese. (I never measure the Parmesan, I just eyeball it, but about 1/2 cup should do). 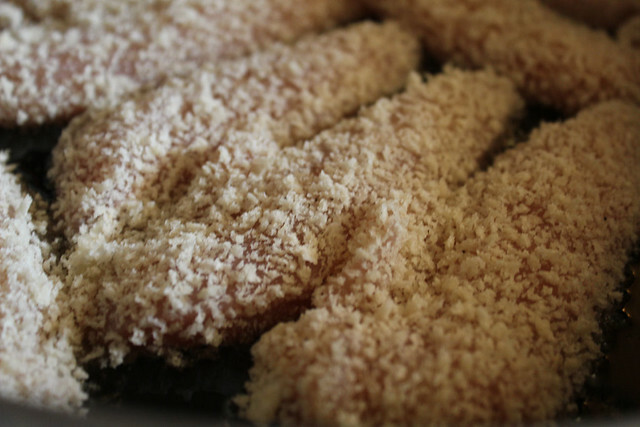 Take the chicken tenders, roll them in the panko mixture, pushing gently with your fingers to give it a nice coat. Add a little bit of oil to a large skillet (you can also do butter, I've made it both ways before). Add the chicken and cook for about 3 to 4 minutes on each side, until the chicken is cooked through and nice and brown. 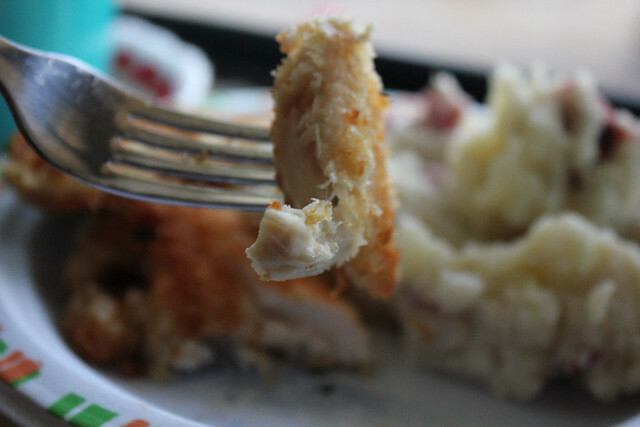 Remove from the skillet and drain on paper towels. I usually let it sit for a minute or two while I get the table set. Yummy! Its been awhile since I have made this and now I want some more!! 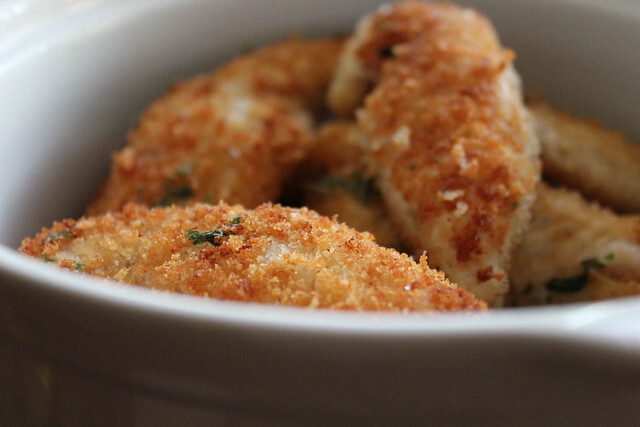 Panko Bread Crumbs are the best! I don't use anything else anymore! !